Caroline is currently touring to support her new release HOME ON THE RIVER. No Depression calls it "sweet and smooth, and downright refreshing... raising spirits with one song, calming them with another." ​Stories and dreams about love, adventure, and searching for home, DREAMING AS I DO treats you to an eclectic mix of melodic honesty. 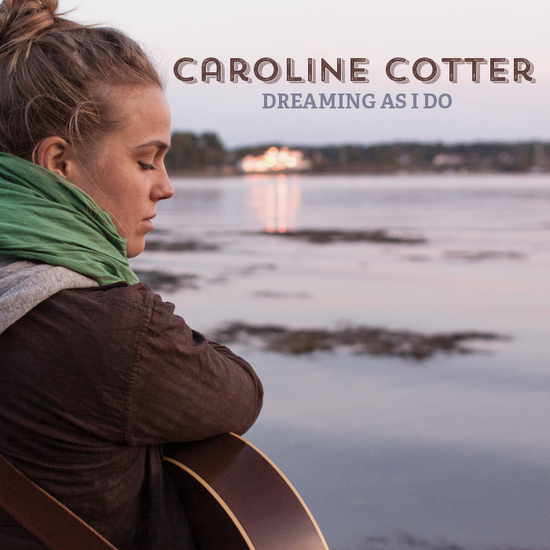 Caroline takes you through her journey singing about love scorned, celebration and satisfaction, telling of conversations with an old man about his wife’s Alzheimer’s, and finally feeling at home, in southern Maine. The album was produced by Caroline Cotter and Putnam Smith and was recorded at Portland, Maine’s “The Studio,” with Steve Drown. The album includes some of Boston and Maine’s finest musicians: Joe Walsh – mandolin, Lauren Rioux – fiddle, Adam Frederick – upright bass, Dinty Child – accordion, and April Reed-Cox – cello. DREAMING AS I DO was mastered by Gary Gordon at Inside/Out Entertainment, Sparta, IL. Product of 2013 Kickstarter campaign to record first full length studio produced album. Recorded at The Studio, in Portland, Maine with Steve Drown as head sound engineer, Putnam Smith and Caroline Cotter co-producing, Steve Roy on upright bass, Joe K. Walsh on mandolin and lead guitar, Chas Lester on percussion, April Reed-Cox on cello, Mark Tipton on trumpet, Dinty Child on accordion, and Tyler Leinhardt on fiddle. Album art by Steven Weinberg. 1,500 copies printed, Click here to preview or purchase. Caroline on vocals and guitar with Cole Sigmon on upright bass, this album is a record of songs written in a time of travel around the USA and a move out to Colorado. Songs show influence of American roots in bluegrass, gospel and folk music. Inspired by personal encounters with new and old friends, their stories, Caroline's stories, and dreams about how life could be. Click here to preview or purchase. In February 2009, Caroline went to India to study yoga and meditation. Studying and traveling there for two and a half months, she wrote five songs. Caroline began her travels with a one month stay at an ashram in the country outside of Nasik, just northeast of Mumbai. She then moved to Pondicherry on the southwestern coast to stay for two weeks before traveling to the holy city of Rishikesh in Northern India near the Himalaya Mountains. Some songs feature pieces of traditional Sanskrit mantras or affirmations for peace and wellness. Like other albums, these songs are presented in the order in which they were written. Click here to preview or purchase. 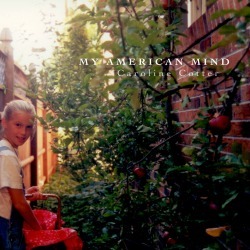 My American Mind is a compilation of songs written from January of 2008 to December of 2008 and recorded in early February of 2009 while Caroline was living in Barcelona, Spain. Songs are nostalgic, both upbeat and melancholy, sprinkled with punches of humor and filled with observations and reflections about growing up, leaving home, and other natural and inevitable changes that we are all bound to experience. The genre and style stay true to Caroline's first two albums, Back on the Train (2007) and Pollyanna (2008), while new experiences yield new stories and ideas from a time of living in a foreign country, but always at home in My American Mind. Click here to preview or purchase. 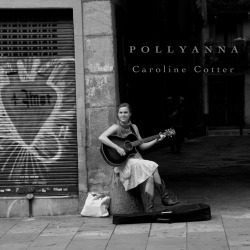 Pollyanna is Caroline’s second original and solo album and was recorded in Barcelona, Spain in April, 2008. The recording was done in the same live, acoustic style as the first album, Back on the Train (2007). These 10 original songs illustrate Caroline’s experiences and thoughts during her travels in the fall and winter of 2007. Songs are presented in the same order as they were written. The first four songs reveal thoughts from a traveling pilgrim along the Camino de Santiago, then songs from working on a farm and vineyard in southwestern France, to searching out a life for herself in Barcelona, and finally arriving home to spend Christmas with her family. Click here to preview or purchase. 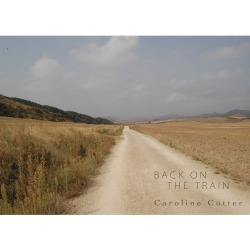 Back on the Train was originally recorded in August (2007) as a personal record of the songs that Caroline wrote during the summer living in Maine. The album presents Caroline’s first 9 original songs as they were recorded (most in one take) live in the studio. Each song is honest and unrefined, not edited or fiddled with, and totally organic. Caroline tells stories pulled from her travels, her relationships, and what has concerned her in all that she has experienced in the past few years. Each song tells a different story, packed with honesty and personal experience. Click here to preview or purchase.